A physiotherapist by profession but also with a passion for freelance photography, videography and digital media. This means I can offer quality service, at a very competitive price! Landscape, ocean, travel, event, corporate portrait or product photography suited to your budget. Or purchase any of my photos to display on your wall! Canvas, metal, acrylic and glass mediums. Contact me for a quote today! With experience in wedding, corporate, travel, web/promo, sport/action, instructional/how-to videography, I'd be happy to help with any project you have in mind! Enquire now! I have created high quality, affordable business cards, posters, flyers, logos and much more (meaning you don't have to worry about the technical jargon). 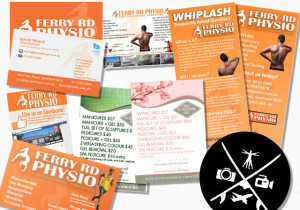 I strive to deliver exceptional customer service to all Gold Coast and Surrounds Residents (Byron Bay, Tweed, Brisbane, Sunshine Coast) for physio, photography, event photography, landscape photography, prints, canvas prints, acrylic, glass, promo videos, wedding videos, videography, instructional and how-to videos, realestate photography and videography.